Twelve liters of juice was made and Pressure canned. The ingredients were onion, cabbage, beets and tomato. Annotated pictures depict the method. 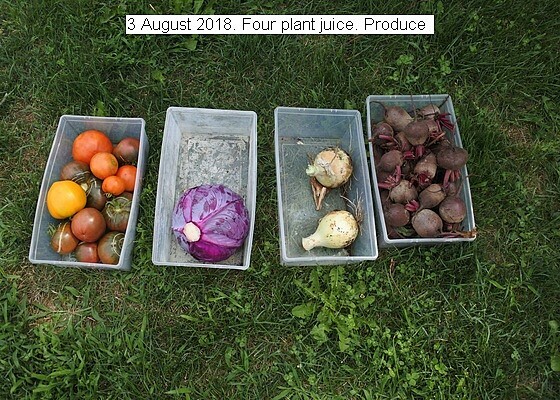 This entry was posted in Uncategorized and tagged 3 August 2018 Four Plant Juice, 3 August 2018 Four Plant Juice onion tomato beet cabbage, Pressure Canned Juice. Bookmark the permalink.